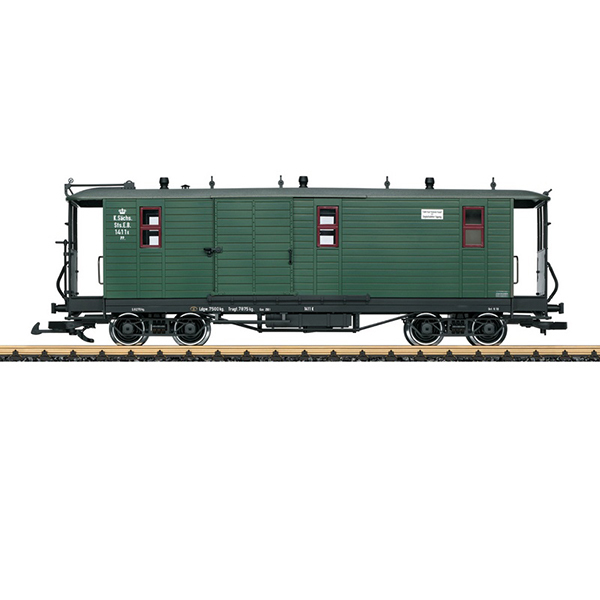 Product: This is a model of a Royal Saxon State Railways baggage car. The paint and lettering scheme are prototypical for Era I. The sliding side doors can be opened. The car has metal wheel sets. Length over the buffers 48 cm / 18-7/8"
The ideal add-on for the 20481 locomotive and the 31353, 31354, and 31355 cars.